This brilliantly delicious milk chocolate block with a yummy fresh strawberries is unique and so super easy to make with just TWO ingredients, yes indeed, you heard me right, just TWO ingredients. Take each strawberry and cut the bottom. Melt half of milk chocolate block in a small pan. Dip the catted strawberries into melted chocolate. Then leave those at room temperature until the chocolate is hardened. Second half of the milk chocolate block put in microwave oven for a few seconds. 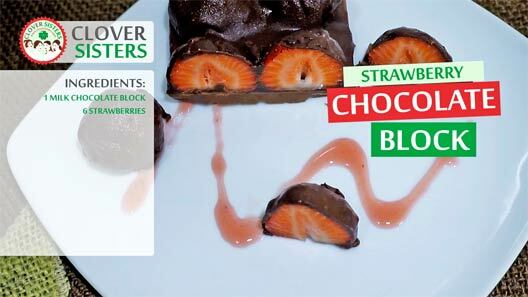 Dip the bottom of strawberries into melted chocolate and place them on top of the milk chocolate block. 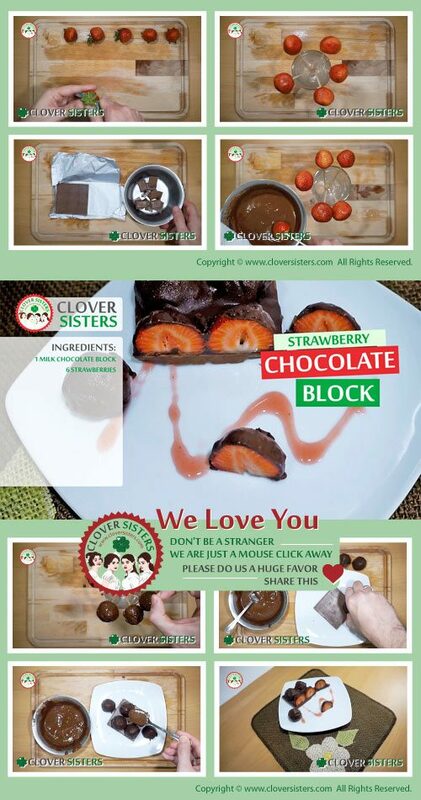 Place strawberry chocolate block in the refrigerator until hardened.